Amber is a fossilized tree resin that is well known for it`s colour & natural beauty. It comes in the form of a sticky tree resin and is used for ornamental & in jewelry. Finished Amber essential oil is usually in a base of beeswax and combined with other essential oils & carriers. such as bronchitis and unproductive coughs. It is native to South east China but also grows in Vietnam, India and Japan. There are several other related species eg. Japanese star anise which is highly poisonous. Its actions are Antiseptic, carminative, expectorant, insect repellent and stimulant. 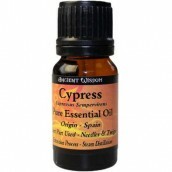 The essential oil is a pale yellow liquid with a warm, spicy, extremely sweet, liquorice-like scent. It is used by the pharmaceutical industry in cough mixtures, lozenges and to mask undesirable odour & flavours in drugs. The perfume industry use it in soaps, tooth[paste and detergents as well as in cosmetics & perfumes. Despite its anethole content (80-90%) it does not appear to be a dermal irritant, unlike aniseed. In large doses it is narcotic and slows down circulation; it can lead to cerebral disorders therefor use in moderation only. The digestive system for Colic, cramp, flatulence & indigestion. Native to tropical Asia and Africa it is now widely cultivated throughout Europe, the Mediterranean, the Pacific islands, North & South America. The European, French or "True" sweet Basil essential oil is produced in France, Italy, Egypt, Bulgaria, Hungary and the USA. French Basil is the preferred oil being relatively non - toxic, non-irritant, possible sensitisation in some people and to be avoided during pregnancy. 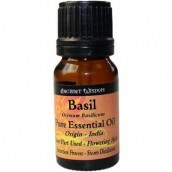 Essential Oil of Basil is an excellent nerve tonic, indeed perhaps the best aromatic nerve tonic. Native to Tropical Asia; the two main regions of production are Sumatra, Java and Malaysia for `Sumatra` benzoin and Laos, Vietnam, Cambodia, China and Thailand for Siam benzoin. 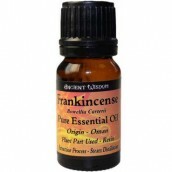 The essential oil is Non toxic, non-irritant possible sensitisation. The compound benzoin tincture is regarded as "moderately toxic due to occasional contact dermatitis in some people which contains in addition to benzoin, aloe, storax, Tolu balsam and others"
For The Nervous system Nervous tension and stress related complaints, it warms and tones the heart and circulation, both physically and metaphorically. 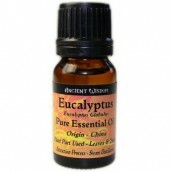 This essential oil creates a kind of euphoria; it interposes a padded zone between us and events. Other uses are in pharmaceuticals and in dentistry to treat gum inflammation. 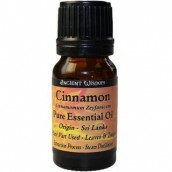 The essential oil is also used in fragrance, soaps, cosmetics, toiletries and perfumes especially the Siam Benzoin. 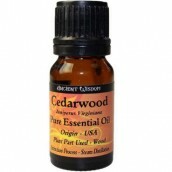 The essential oil is produced by cold expression of the peel of the nearly ripe fruit. The oil was first sold in an Italian city called Bergamo in Lombardy. The small tree is native to tropical Asia, and is extensively cultivated in Calabria in Southern Italy and also grown commercially on the Ivory coast. 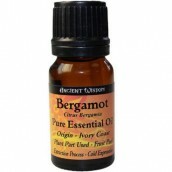 Bergamot Essential oil has been researched in Italy and is now known to have many applications being particularly useful for mouth, skin, respiratory and urinary tract infections. Safety data It has been found to be phototoxic on the skin; it can cause sensitisation & pigmentation of the skin therefore use with care. Other information indicates it is otherwise non-toxic and relatively non -irritant. Skin Care use for Acne, boils, cold sores, eczema, insect repellent and insect bites, oily complexion, psoriasis, scabies, spots, varicose ulcers & wounds . Nervous System use for Anxiety, depression and stress-related conditions, the oil having a refreshing & uplifting quality. Extensively used as a fragrance component and to a degree a fixative in cosmetics, toiletries, suntan lotions, and perfumes. It is a classic ingredient in eau-de-cologne. Widely used in the food industry most notably Earl Grey tea. 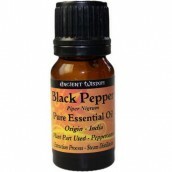 Black pepper essential oil is distilled from dried fully grown unripe fruit. Native to south west India and cultivated extensively in tropical countries. Major producers are India, Indonesia, Malaysia, China & Madagascar. It is also distilled in Europe and America from imported dried fruits. Both black & white pepper have been used in the East for over 4,000 years for medicinal & culinary purposes.In Chinese medicine white pepper is used to treat malaria, cholera, dysentery, diarrhoea, stomach ache & other digestive complaints. In Greece it is used for intermittent fever & to fortify the stomach. "The mendicant monks of India who cover daily considerable distances on foot, swallow 7-9g of pepper a day. This gives them remarkable endurance." Safety Data Non toxic, non sensitising, irritant in high concentration due to rubefacient properties. Use in moderation only. Other Uses Used in certain tonic and rubefacient preparations. 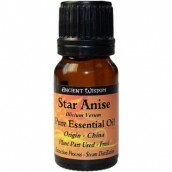 Used for unusual effects in perfumery with rose or carnation in oriental or floral fragrances. Extensively used in the food industry. It grows wild in Malaysia, Indonesia, the Philippines, Vietnam, Java, Australia & south eastern Asia. 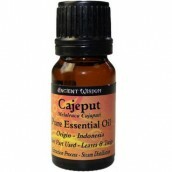 Cajeput essential oil is closely related to other members of the Melaleuca family notably eucalyptus, clove, niaouli and tea tree. Held in high regard in the East it is used locally for colds, headaches, throat infections, toothache, sore and aching muscles, fever(cholera), rheumatism and various skin diseases. 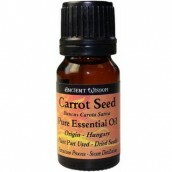 Only the essential oil is used in Western Herbal medicine, notably for sensation of warmth & quickening of the pulse. It is used for chronic laryngitis and bronchitis, cystitis, rheumatism and to expel roundworm. Safety Data Non Toxic, Non sensitising, may irritate the skin in high concentrations. It native to Europe, Asia and North Africa; naturalised in North America. 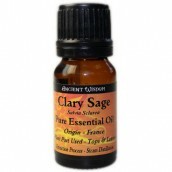 The essential oil is mainly produced in France. A highly nutritious plant containing substantial amounts of Vitamins A, C, B1 and B2.The roots have a strong tonic action on the liver and gall bladder, good for the treatment of jaundice and other complaints. The seeds are used for the retention of urine, colic, kidney and digestive disorders, and to promote menstruation. In Chinese medicine it is used to treat dysentery and to expel worms. The dried leaves are current in the British Herbal Pharmacopoeia for calculus, gout, cystitis and lithuria. Native to North America, especially mountainous regions east of the Rocky mountains. Safety Data Externally the oil is relatively non-toxic; can cause local irritation and possible sensitisation in some individuals. Use in dilution with care, in moderation." The oil is a powerful abortifacient ...... use of the oil has been fatal" Avoid during pregnancy. 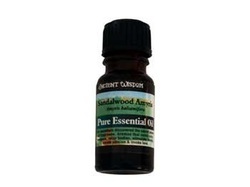 Generally safer to use Atlas Cedarwood. Roman Chamomile is native to southern & western Europe; naturalised in North America. Cultivated in England, Belgium, Hungary, United States, Italy & France. Non -toxic, non-irritant; can cause dermatitis in some individuals. Native to Sri Lanka, Madagascar, the Comoro Islands, South India, Burma and Indo China. It is also cultivated in India, Jamaica and Africa - each region having its own particular species. Native to southern Europe; cultivated worldwide especially in the Mediterranean region, Russia, the USA, England, Morocco and central Europe. The French, English and Moroccan are considered superior quality for perfumery work. Safety Data: Non-toxic, non-irritant, non-sensitising. Avoid during pregnancy. Native to the eastern Mediterranean; now grows wild in France, Italy, Corsica, Sardinia, Sicily, Spain, Portugal, North Africa, England and to a lesser degree, the Balkan countries. Cultivation & distillation usually take place in France, also Spain and Morocco. Native to Tasmania and Australia. Mainly cultivated in Spain and Portugal, also Brazil, California, Russia and China. The essential Oil is steam distilled from the flowers of the Davana plant. It is grown mostly in India, Mysore. Greatly used in the perfume industry the fragrance changes on every person; most people agree that it is a sharp, herbal, mossy aroma with a hint of peach or strawberry. Skin Care Calms inflammations & leaves skin soft & smooth. It is comforting. Menstrual Care It regulates menstruation so avoid during pregnancy & if a nursing mother. Native to the Red Sea region; grows wild throughout north east Africa. The gum is mainly produced in Somalia, Ethiopia, China and south Arabia, then distilled in Europe and to a lesser extent, India.